We are delighted to announce that BLAKE and Dame Shirley Bassey appearing on both the Graham Norton show on December 4th and also the Strictly Come Dancing Christmas Special on December 25th. They perform their highly anticipated festive single ‘The Christmas Song’ live on TV! debut Christmas album, click HERE. 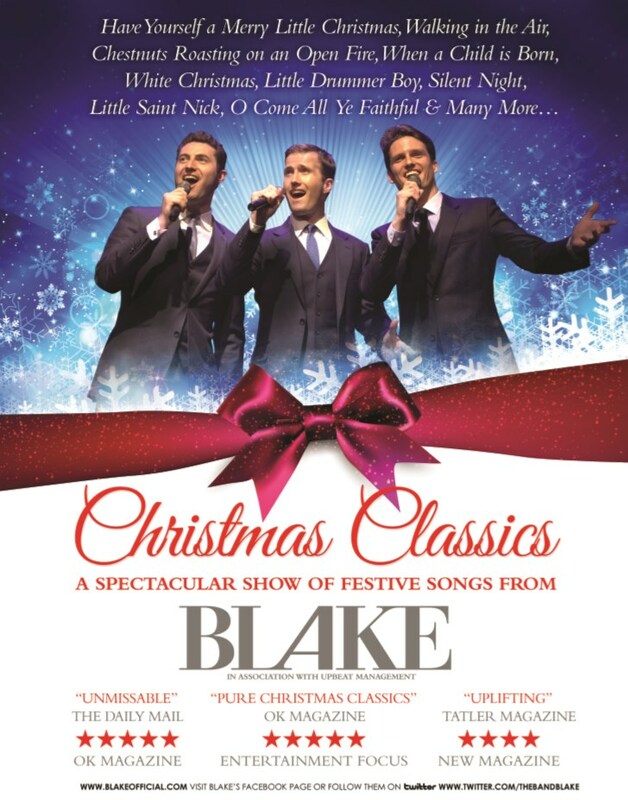 This December sees the return of BLAKE to television screens across the UK. Over the last 9 months they have been recording and preparing their biggest album yet, “A Classic Christmas” featuring their close friend and music legend, Dame Shirley Bassey. Many in the press are saying that this collaboration could be the first to break the hold that X-Factor has on the tradtional Christmas No.1, but the boys would be very content with any result, as all the profits from this single go to Variety the children’s charity and Noah’s ark children’s hospital. Fingers crossed that come December 18th, lots of people download the single and play it on Spotify, giving the song the best chance to raise money for these charities. 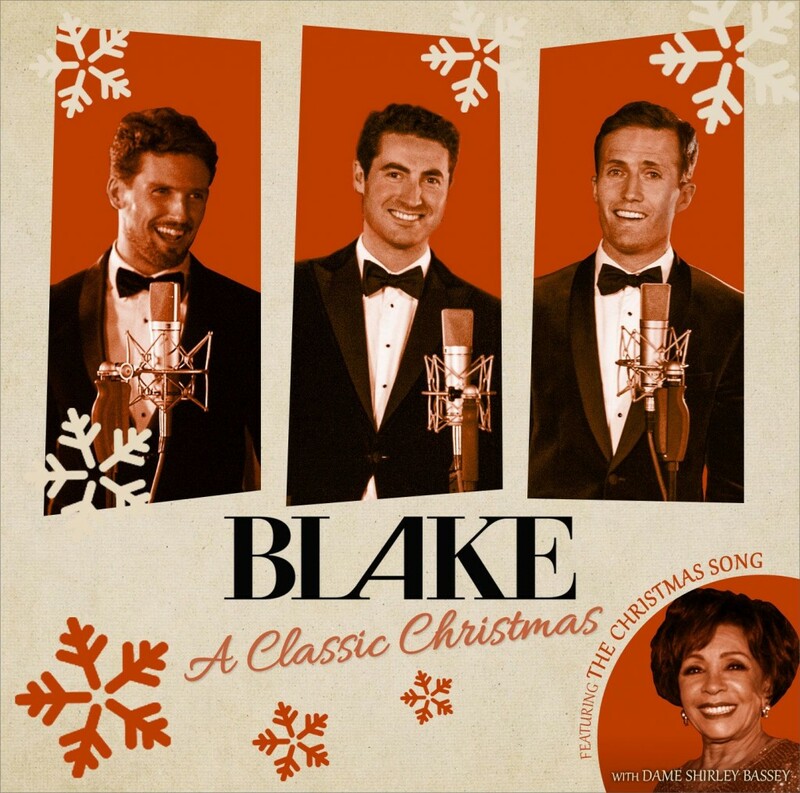 BLAKE’s debut Christmas album enters into the world of a true Hollywood style Christmas, with all the parties, glamour and glitz that entails. Big orchestras, jazz bands, lush vocals and even some very special acapela moments, where the intricate 3 part harmonies of BLAKE can really be enjoyed. This is an album we hope everyone will enjoy again and again, Christmas after Christmas. The boys are currently also on tour around the UK with a high production Christmas show, featuring huge projections, massive snow machines, big choirs and all the variety of festive music created specially for this latest album. To find tickets to one of their upcoming shows, visit the LIVE section of this website. If you’d like to be a part of the boys journey, join them here, on Facebook, on Twitter and on Instagram (always @TheBandBlake or /TheBandBlake) to find out what they’re up to today. The boys love chatting with all their supporters from around the world, so don’t be shy, say hello! Just got back from the live show at the Lyceum Crewe. They sounded even better than last time and heard the collaboration with Dame Shirley WOW. Can’t wait for the new album.